Troubled with Kyocera DuraForce PRO that wont’ turn on? Find out the possible caused for this issue and try these troubleshooting actions to bring the phone back to life without have to bother asking for professional help. 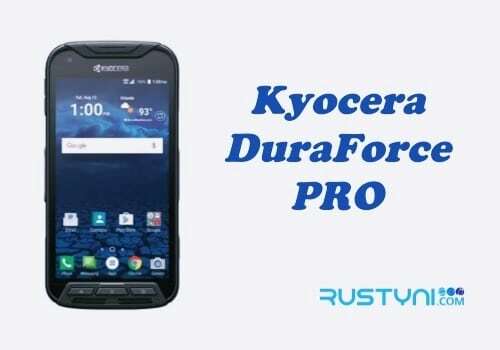 Kyocera DuraForce PRO that Won’t Turn On – So you find that your Kyocera DuraForce PRO won’t turn on. The screen stays black no matter how many times and how long you press the “Power button”. There are several possible caused for this issue, such as the battery power has been depleted, crash system, crash app and perhaps its power button is stuck. In the matter of system crash or app crash, force reboot the phone should clear it all out. Why force reboot? Because you can’t turn on the phone so you have to force it. You can force reboot the phone by press and hold “Power button and Volume Down” in the same time and keep it for around 7 seconds until the phone reboot. If the battery is depleted, then charging the phone will clear this issue. Charge the phone and make sure that every charging icon appears. Leave the phone to charge its battery for a while before try turn it back on. If the charging icon appears on the screen yet it still won’t turn on, you need to boot the phone into Safe Mode. In this mode, the whole 3rd party apps are disabled. If you can turn on the phone in this mode, it means that there are problem with one of your 3rd party app and you need to get rid of it. If you can’t boot it into Safe Mode, try to boot it into Recovery Mode. In this mode, the Android interface won’t load up so basically only the hardware part that works in this mode. If you can boot into this mode, you have no problem with hardware and perhaps there is problem with the interface and it goes around. If you can’t do anything mentioned above, you should bring the phone to a technician. Definitely there is something really wrong with the phone and it will be better to let some professional to deal with it.